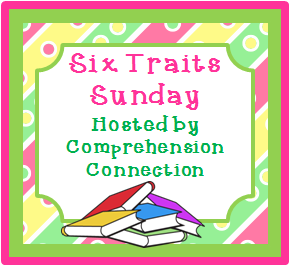 A fellow blogger is hosting a weekly blog hop for the next six weeks about the 6 Traits (TM). 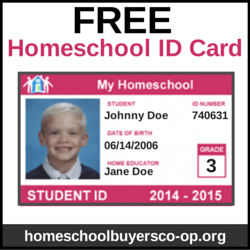 Since I am going to be teaching the 6 Traits in my K-4 homeschool co-op this fall, I am very excited about this! Each week, we are to explain a book that we feel does a good job of teaching the trait of the week. This week, the trait is IDEAS. One book that I anticipate beginning my co-op with is No, David! by David Shannon. I believe this is a fantastic book for sharing with kids on how to decide on ideas. First, it provides a fine example of how illustrations tell the story. Since my class will have both kids who can read and kids who cannot, I think it is important to begin with the understanding that books can tell stories primarily through pictures, before we emphasize the text. The ideas are in the pictures of this book. In addition, No, David! shows how one subject can be focused, even when each page tells a different story. It focuses on disobeying and rules, and yet each page reveals a different mini-story about what young David did. It’s funny because of the ideas in it, and the ending is also sweet. Finally, David Shannon wrote about what he knew. He obviously remembers begin young and doing things wrong. When we expect our young students to begin writing, we must encourage them to start with what they know. I love how No, David! shares ideas that are familiar to young children. I think it would be a fantastic example of the Ideas component of the 6 Traits(tm). What book(s) do you love to turn to for teaching your writing students about finding Ideas? Make sure you visit Comprehension Connection to see other blog posts about IDEAS! Note: Amazon Affiliate link included above.